By sharing the stories of others I am able to demonstrate that in life we each have a unique journey to take, and every obstacle we overcome can serve as a lesson for someone else. Learning about the dreams and motivations of others can give us insight as to how we may make some of our own dreams, a reality. Today’s focus will be on a dear friend whose biggest reward comes from helping others. His name is Seth Sturgill. 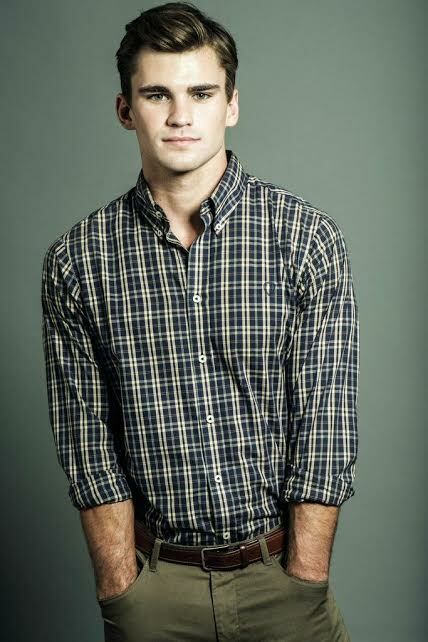 Seth is from Texas and is currently completing his senior year of college at Texas A&M University-Commerce. Having previously served as a resident assistant, Seth is currently focused on completing his undergraduate studies and managing his career in modeling at the same time. I have known Seth for some time and seeing his determination toward his goals while remaining actively involved on campus, I wanted to get to know more about his everyday life and life long dreams. As early as high school Seth wanted to become a model, he can’t recall what served as the motivation to do so but it had always been a goal he hoped to achieve. It was a goal that didn’t come easy and it took several open calls (once in his senior year of high school, a second and a third in his freshman and sophomore year of college respectively), before he was accepted by an agency. He received the welcoming news on his fourth attempt and signed his contract before he began his senior year of college. Since then he has participated in several photo shoots, and his career as a model looks promising. Seth is however quick to point out that his long term life goal is not centered around a modeling career. While he enjoys the opportunities it has provided him, Seth considers modeling to be more of a self-centered profession. He admits that nothing is wrong with focusing on yourself, however his long term goal involves pursuing a dental career where he can be more impactful in the life of others. Seth Sturgill teaching children how to brush their teeth and floss while volunteering in Nicaragua – March 2014. In the past year he has been active in volunteer work related to dentistry and last spring spent time Nicaragua where he volunteered as part of a Global Medical Training team in conjunction with the University of North Carolina. In total he spent 1 week acting as support staff for a team of doctors. Throughout his experience Seth was able to teach kids how to brush their teeth and how to floss, which he found very rewarding. Asked about the impact his week of volunteering had on his life, Seth describes the experience as the “best week of my life, seeing the impact I could have. There is so much that you can do in this world and you don’t realize it. I didn’t realize it until I went to Nicaragua.” Seeing Seth’s passion for dentistry I wanted to know the root of his aspirations, why density? In his response, Seth highlighted that as cliche as it sounds, it was a childhood dream. He recalls fondly how he was intrigued watching the dentist assist his sisters who both wore braces. As early as 3 years of age he found the profession appealing, and the thought of looking into someone’s mouth for the entire day was motivation enough. What started as a childhood dream and a petty obsession became a life mission after realizing the impact he could have through dentistry. 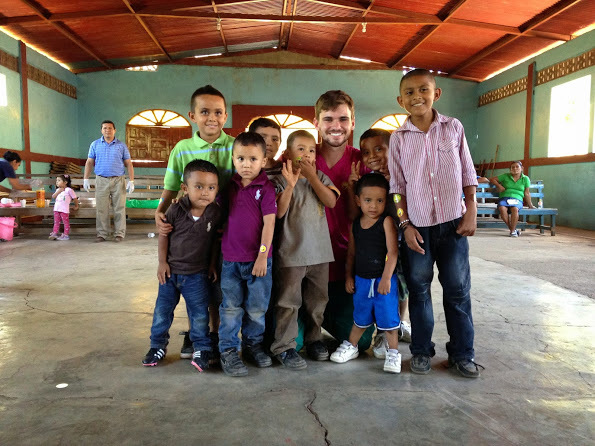 His time spent volunteering in Nicaragua convinced him that dentistry was the right path. 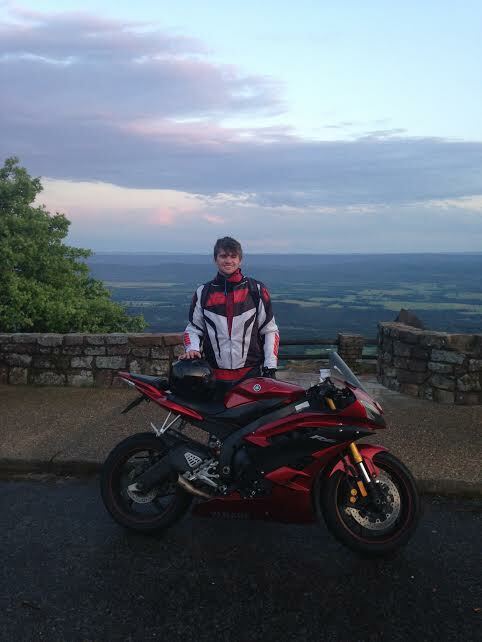 As a hobby Seth loves to spend time riding his bike though the Texas Hill Country and the Ozark’s which he describes among his favorite places to visit. The opportunity to ride and discover new places while listening to a selection of his favorite songs, is a very reflective and relaxing experience for the aspiring dentist. Seth Sturgill biking through the Texas Hill Country. The experience of riding along the Texas roads reminds him of life and the journey we each take “The good part isn’t around the corner, it is the corner.” Each turn we take each stop we come to is a moment for us to reflect and appreciate what life has to offer. Until the completion of his undergraduate studies, Seth hopes to make the best that a career in modeling can provide him at this juncture. However it is a task he will eventually put on hold as as he completes his academic goals toward his future in dentistry. For the time being he his preparing for his first show on March 24th, for JC Penny. In the interim he also has several photoshoots lined up where he is continuing to expand his modeling portfolio. He is a man of many talents, and the future of a generation that will impact humanity for the better. Despite his success and undeniable good looks, humility is perhaps one of his greatest attributes. Talking with Seth you realize that his passion is dedicating his life to others. In so doing, he enjoys his life coupled with success and disappointments, for Seth, it’s the combination of life’s ups and downs that makes life worth living. It is the hardships and the success that makes us who we are, and he stands ready to face whatever challenges and opportunities his future presents him. In the Summer of 2015 Seth hopes to again volunteer his time assisting with the Global Medical Team which will this year travel to Panama between June 14th and June 21st. In order to participate he will need to raise the necessary funds to cover the cost of travel and lodging. I invite you to assist him in reaching his goals and help to impact those communities across the globe that could benefit from missions such as the Global Medical Training Program. You may donate by accessing his GoFundMe page. © Dimitri Lyon and dimitrilyon.wordpress.com, 2015. Unauthorized use and/or duplication of this material without express and written permission from this blog’s author and/or owner is strictly prohibited. Excerpts and links may be used, provided that full and clear credit is given to Dimitri Lyon and dimitrilyon.wordpress.com with appropriate and specific direction to the original content.